These heavier weight fabrics are designed for applications where higher strength, stability and performance is necessary. 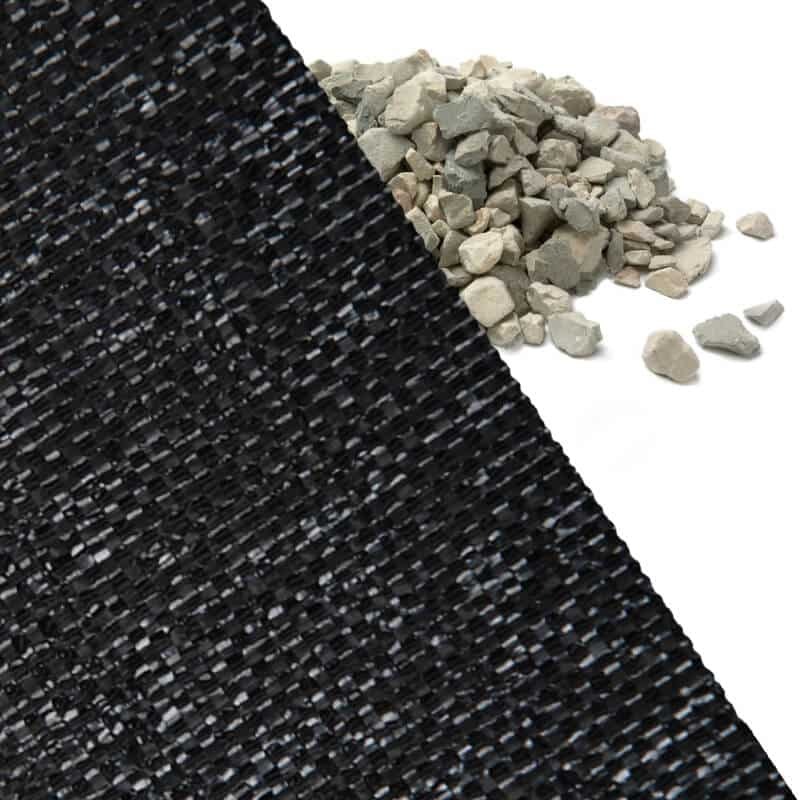 This fabric is one of the most commonly used geotextiles for road stabilization, ground stabilization and aggregate separation. Made of polypropylene, the geotextile is UV resistance as well as being resistant to commonly encountered soil chemicals, mildew and insects. Non-biodegradable. Polypropylene is stable within a pH range of 2 to 13, making it one of the most stable polymers available for geotextiles today. This fabric is also useful for filtration purposes as it restricts the movement of soil particles, while allowing water to pass through. The fabric is also useful for erosion control as it helps hold the soil in place when used under gabions. Also useful for shoreline restoration. Meets or exceeds ISPI recommendations for driveways, patios, walkways and roads. This fabric is approved for ODOT Type B and D. Measured by the tensile strength of the material. Tensile strength is a basic indicator of relative strength.